To the best of my knowledge, this 698 page behemoth of a book was first published in hardcover by Doubleday, Doran and Company in 1936. Later editions were re-published by the Literary Guild and perhaps the most common version that can be found by today's readers; an edition published by Sun Dial Press. 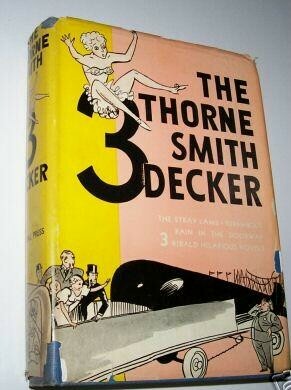 Originally priced at $2.50, which was a lot of money for the average reader in 1936, one can still imagine how tempting it must've been to want to buy a book that contained three other great novels within it. Below is the cover from the Sun Dial Press reprint. You can often find copies of this great collection at reasonable prices on Amazon or Ebay but usually without the dust jacket featuring this unique artwork.